Participants will benefit from Nicki’s experience working as a global risk and EVM expert and researcher improving decision and risk identification skills by using processes, data and cognitive skills. 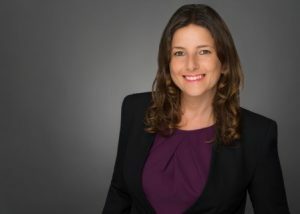 She is the author of: PVaR ™: Project Value at Risk- a new way to connect risks to business outcomes and writes and speaks about project management and risks. Experienced with the High-Tech, Energy and Water, IT, Defense and consulting industries, Nicki believes in incorporating quantitative and qualitative analysis to achieve the best possible outcomes in decision-making. She is known for her inspirational risk concepts and processes which incorporate aspects from finance, business, engineering, IT and international relations into powerful project management excellence. The realm of project management is changing and requires project management professionals to integrate processes, data and cognitive skills. The resilient 2020 project managers will be able to apply the right skill for a given problem from a growing set of tools at their disposal. The seminar will build on existing areas of knowledge such as Earned Value Management, Risk Management and Integration Management to present fresh thinking and techniques to add to the Project Professional toolkit.  become aware of the progress in the areas of decision making and cognitive skills, data science and AI as well as new processes and standards that were recently published.  learn how to go “beyond brainstorming” and apply two step techniques to solving problems, leading group efforts and identifying risks: FFA: Force Field Analysis and CAA: Constraints and Assumption analysis.  be introduced to PVaR ™: Project Value at Risk – a new data based approach and indicator to connect project planning to business outcomes.  learn how to integrate data, decision making skills and existing processes into your own project management “dashboard”.